Provide the golf course boasts! This post is the second installment of exploring the measurement of innovation. Measurement and metrics are often an afterthought in an innovation program, and can be seen as the least exciting part. However, if misused, they can screw up your program by causing unhelpful behaviour and outcomes, but when metrics are used correctly, they are a key element of creating a successful innovation program. 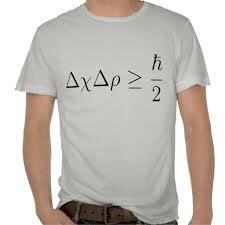 In quantum mechanics, there is a well established observation, called the Heisenberg principle or the uncertainty principle, which states, “as you measure something, you affect it” (my paraphrase). By affecting something, you change it. This principle can also be applied to the measurement of innovation. “You can’t manage what you don’t measure” holds true, but if measurement causes change, then before the introduction of any metric, any resultant impact or effect must be considered. If you are not aware of this, metrics is are dangerous! However, if you understand the dynamics in play, you can utilise them to drive your program forward. For example, when I introduced a new innovation methodology, I wanted to show how the method would seriously ramp up the innovation activity. We said that teams could achieve one implemented idea per person per month. It was not a formal target, but some teams took it as such, and some gamed the system, forgetting completely about quality and went for quantity. We spotted it, and made changes, but it could have been avoided with better communication, and more importantly, better metrics. Most innovation programs are not the “front-of-mind” focus to a C-level executive, unless they are a CIO. This level of management is used to seeing revenue and profit lines; innovation performance is not often a P&L line. The more enlightened execs understand the impact and importance of innovation, but to most, innovation is a tangent or even a distraction to “real” stuff. If you have C-level exposure to your program, congratulations! If you don’t, you need to engineer a way to expose the program to this level; increase the noise of what you are doing. What messages do you want to get across and leave them with? What action/response from the exec do you need to progress our program? How can you make innovation important to their business and their role? Do not be tempted to report on everything as you will lose them in the detail. Aim to produce a high-level report that highlights the key indicators of the health of the program. These indicators must be understood easily, as well as the implication that the “result” brings. Remember, these guys are used to looking for trends and patterns, so show the development of those indicators of time. Provide the golf course boast for your bosses! Finally, you need to make innovation real, as it is not all about the numbers. Provide examples of good ideas that celebrate individuals and teams. 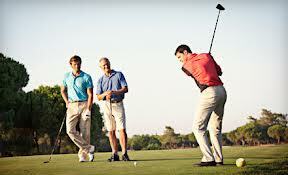 Give them stories that they can use in their communications and can boast about on the golf course! Rather than thinking of forward-looking measures, it is more helpful to consider them as indicators, i.e., if you have success, what will be taking place? The indicators you use depend on the maturity of your innovation program. Identify the indicators, agreed how to measure their progression, report them to the C-level and which will mean they target them in their business areas. I appreciate that I have potentially made measuring innovation sound simple, but in reality, establishing these metrics is hard work. Remember, play the “long-game” and keep your eye on what success is and will look like, and you have a good chance of getting there. Next Next post: Be an Idea Marketeer!